Pigeon, Buckhorn, Chemeong Lake help!! Hi my friends and I rent a cottage in Chemeong Lake this August. 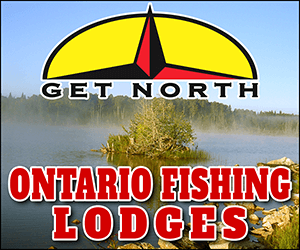 We are planning to fish in Pigeon, Buckhorn and Chemeong Lake. 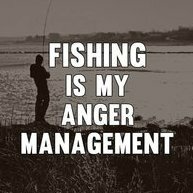 We mainly want to target Bass, Walleye, Musky and Crappie. I can find a map for Pigeon lake,but it is only for Muskies. Any one can provide a map? * BITO = Boat In Trash Out! Take all of your trash, and somebody else's . No cost, no effort, no problem! We(used to) go in June to Upper Chemong. If keeping kids catching fish is a concern, dragging crawler harnesses anywhere in Chemong will keep you busy. Bass, crappie, perch,walleye, with an occasional musky are the norm ( in June, anyway). Below Kelly's Island is a nice place to topwater bass,too! Right out front of Redwing Cottages is a deeper(17') hole, fish the top edges around it. We didn't go up this year due to a couple new guys in the group having a DUI to their credit. So, we went to Oneida Lake in NY, which will be our 'go-to' lake from now on. But, when I have a smaller gang to go....Chemong will be our destination. Try Gannons Narrows in the deep for pics and along the rocks for bass and muskie. Concentrate on any weedbeds you can find, the thicker the better. Fish the outsides first then move into the pockets in the weeds. You should get walleye and bass doing this. You can use jigs or texas rigs for this application. Let me know if you find a concentration of Crappie, they tend to disappear in the summer. Bass are liking the wacky rigs fished slow around the weedbeds. 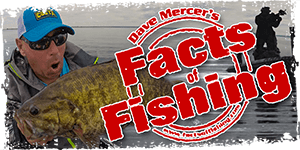 Muskie are around the weeds or suspended out over the deeper water. Try spinner baits over the weeds or larger cranks over deeper water. Have also been seeing a lot in shallow around the pads. Buckhorn is my least favourite of the three. The two best restaurants in the area are Jesse's Tap & Grill in Ennismore for a bar & grill experience and Chemong Lodge for a more refined atmosphere. Enjoy your time in the area and good luck with the fishing. It's my favourite of the three, more structure and variety. I will keep you guys posted for the result. I agree with you about the structure and it being a more interesting lake to fish Jer. I just can't catch fish out of it anymore :-(. It used to be one of my favourite destinations. Location:Gateway to the Kawartha's on Lake O's doorstep. Buckhorn is still my personal fav. Pigeon a close second. Chemong is only good for simply getting to the other lakes IMO. Chemong drives me nuts, reminds me of scugog, but I can't dial in the shallow dukers there. I am fishing the emerald ilse again this year after a little hiatus, so I may have to try Chemong again. If you hear a guy cursing while fishing, come on over and say hi. As for the OP, sometimes to most obvious structure can be the most productive. Have an eye for rice beds and pads. Also, south end of Pigeon is deadly Bass and Muskie water. If fishing gets alittle tiresome, have a scoot over to the west shore of pigeon across from the narrows for some scenery. You should come across a sand bar. Not so good structure for fish, but awesome for cottagers that like to tan. Fish on! I'm the opposite of you Harrison. I avoid Buckhorn during the Emerald Island Tourney. I can catch some during pre-fish, but can't catch a break during the tourney. Much more luck on Chemong! I always love how everyone begs for Pigeon to be opened for that tourney. It's just the time of year and that's my excuse and I'm sticking with it. I do think that those 7 + lbers that were caught a few years back came out of Buckhorn.